New collection! 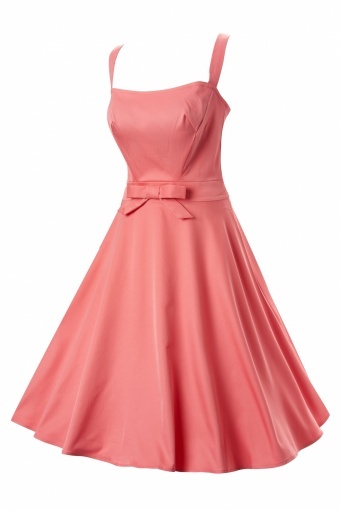 The 60s Jackie peach swing dress from Tatyana by Bettie Page Clothing: the luxurious line! 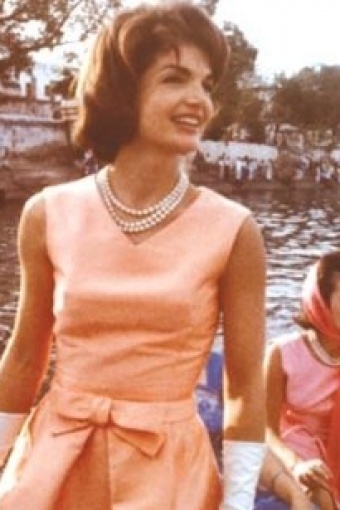 Inspired by the peach silk dress which Jackie Kennedy wore on her India trip in 1962. 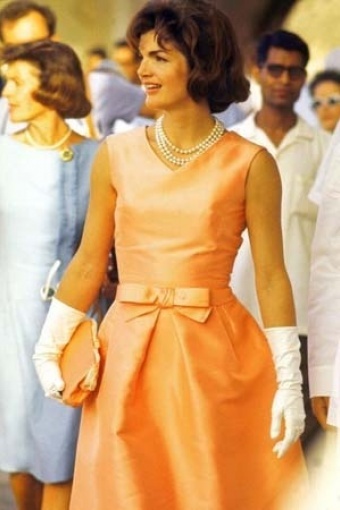 And just like Jackie this dress oozes elegance & class! 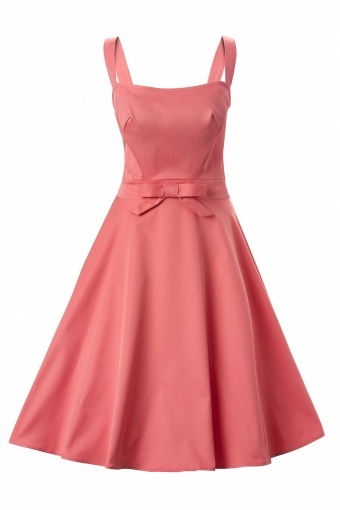 A pure and sophisticated style with fitted top, with typical 1960s darts, cute bow at the waist and circle skirt. 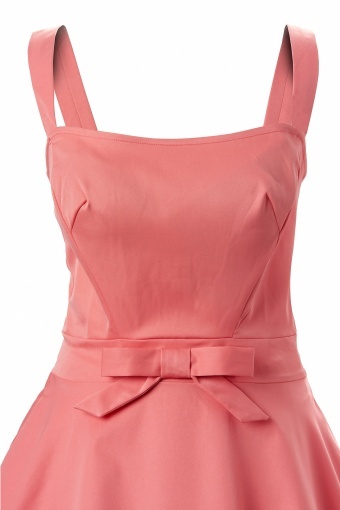 At the back a metal zipper and the straps can be adjusted by yourself if you move the buttons. Made of a supple fabric with a mat sheen on it which gives it some kind of luxuriuous look in a beautiful peach / coral / pink-ish colour. Fabric is stretchy for a comfy fit. 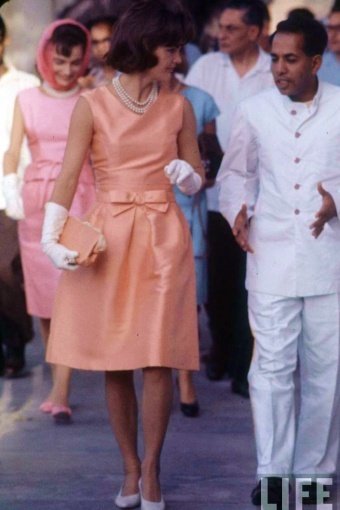 Jackie will enchant everyone, making you the talk of the town! 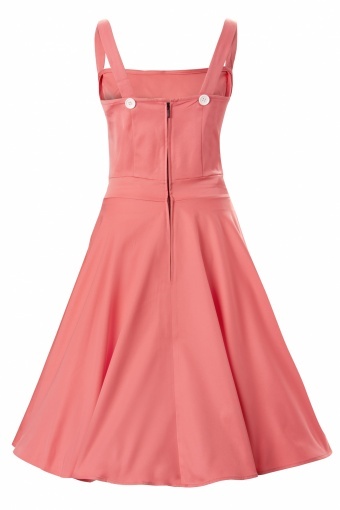 Wear our crinoline underneath for extra volume.